How did how a reluctant, chain-smoking, beer-swigging footballer captain the greatest football nation in the world? Dhruv Munjal salutes the memories of Dr Socrates. 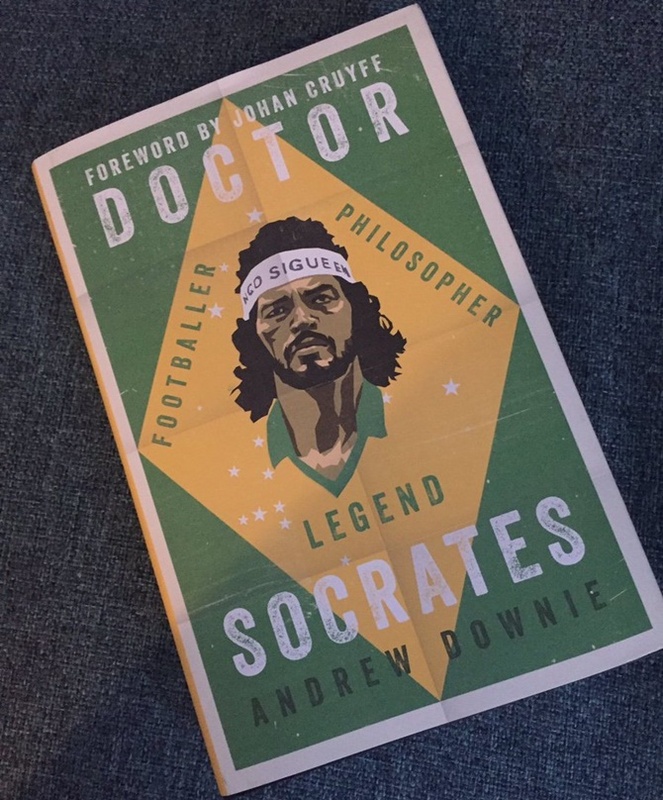 Scanning through Andrew Downie's Doctor Socrates: Footballer, Philosopher, Legend, you're tempted to compare, for his affable smugness and towering persona, the former maverick Brazilian midfielder with another larger-than-life genius in Eric Cantona. In other parts, his incessant carousing and perilous womanising make you instantly think of George Best, who for all his paranormal talent, was always more interested in a sundowner or two than serious footballing matters. On the pitch, however, Socrates was both. He possessed the I-make-everyone-better virtuosity of Cantona and the defender-circling finesse and hubris of Best -- a utopian world that joyously played out first on the sun-soaked streets of Ribeirão Preto in Sao Paulo, and then all across the world. His personality was more complex. Football was just a hobby, celebrating goals -- sometimes truly scintillating ones -- wasn't his thing, and friends would often be astounded at how quickly he could go from guffawing to discussing gravely serious matters, and then go back to making jokes again. And despite scoffing at all varieties of conformity, in the end, his own life turned out to be one despairing, drawn-out cliche. Downie, in this impeccably researched book, masterly captures the insouciance, glory and contradictions of Socrates' life -- how a reluctant, chain-smoking, beer-swigging footballer went on to captain the greatest football nation in the world. In Doctor Socrates, Downie, apart from his football acumen, draws on his assimilation of Brazil's societal imperfections based on his living and working there as a football journalist with Reuters for 17 years. In a somewhat protracted prelude to some of the more entertaining passages of the Socrates story, Downie makes one thing abundantly clear: Socrates was different. A self-styled mutineer, he hated training and would often fake niggles to swap the ordeal of the pitch for the leisure of the massage table. 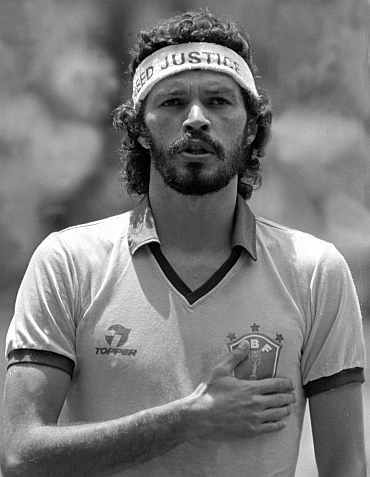 So much so that at Botafogo-SP, his first professional team, Socrates quickly acquired the reputation of being a 'first-half player' who piteously faded away in games owing to an obvious lack of stamina. His father, a studious tax inspector who had slogged his up in the country's financial hierarchy, was perhaps the harshest critic of such indolence. 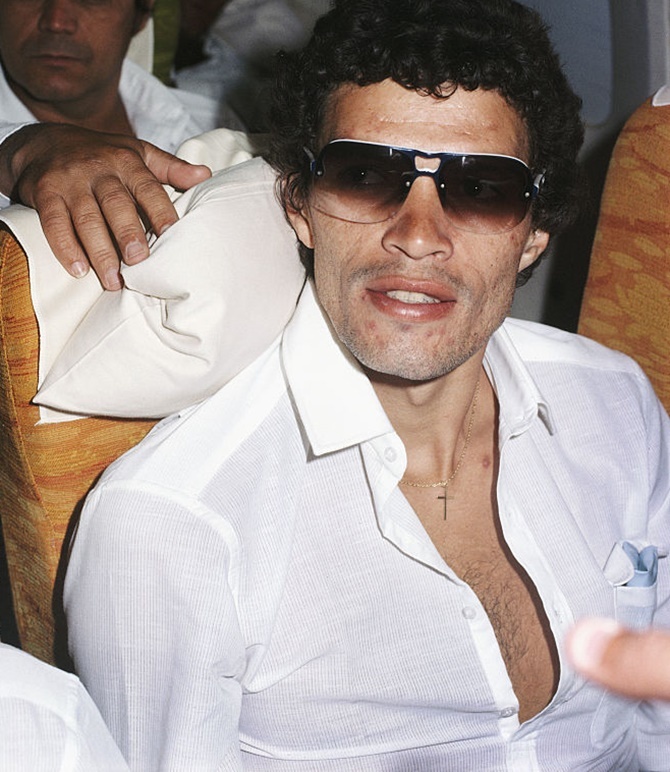 Once, Sai Raimundo's loathing of his son's lethargy played out in full public view. 'One Sunday, he gave his son so much abuse that a small posse of fans threatened to give him a special beating. Socrates was Botafogo's star player and the hard-core supporters didn't want him abandoning the club because of one over enthusiastic boo-boy,' writes Downie. A bashing was averted after some of Socrates' friends intervened. Downie also underscores how medicine was Socrates' sole obsession and he would often sit in a corner and bury his head in books even as his teammates chatted and discussed football in the dressing room. In a famous incident, he once turned up for a game against Corinthians straight from university, dressed in a white coat with medical bag in hand. 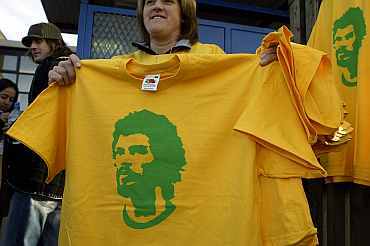 After being hurried in, Socrates threw on his strip in the tunnel and was on the pitch the very next minute. Downie brilliantly elaborates why clubs and coaches granted him such leeway: He was magic on the pitch. 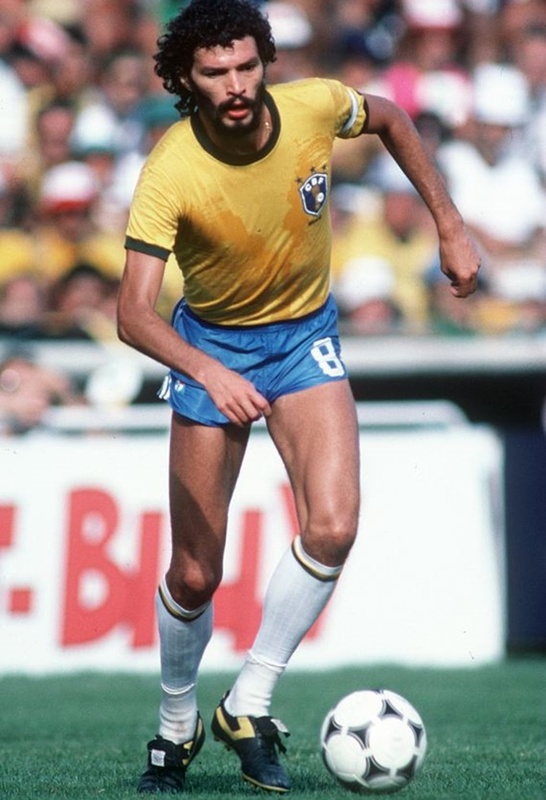 Socrates' style was best exemplified by an unfathomable intelligence that helped him operate on a different wavelength and see things on the pitch others just couldn't -- attributes often grossly undervalued in football. Such impalpable qualities -- Andrea Pirlo and Xavi both come close -- are rare to find in the modern game. Amazingly, the scrawny frame and the awkward gait added to Socrates' allure. And he scored heaps of goals for a player who was technically a deep midfielder. Doctor Socrates is speckled with amusing takeaways from Downie's conversations with many of Socrates' friends and old teammates. Turns out Socrates' indulgences weren't limited to just alcohol and tobacco -- he had a fondness for prostitutes too. To his credit, Downie seldom tries to aggrandise the journey of a man whose extravagances have sometimes have been labelled as unfair misunderstandings. Socrates himself, though, was never one to repent -- he pretty much guzzled himself to death at the age of 57. Downie manages to recall every single detail, right from Socrates' ideas for the way he should lift the trophy to the dressing room tears that followed the unspeakable loss against Italy that knocked the seleção out. 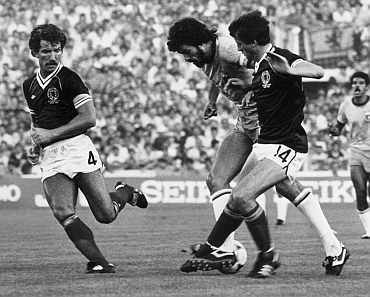 In the year running up to that World Cup, Socrates, largely apolitical in his youth, kick started something that came to be famously called the 'Corinthians Democracy', where everyone had a say in the way the club was run -- the kit man enjoyed the same power as Socrates, the captain of Brazil, himself. A melting pot of writers, politicians and activists, Sao Paulo's intellectual propensities had clearly caught Socrates' fancy. 'The players were encouraged to discuss their problems openly, whether it was about money, tactics, playing time or personal issues,' writes Downie. But Socrates didn't enjoy success wherever he went. Towards the end, Downie mentions Socrates' harrowing time at Fiorentina, where he awfully failed to come to grips with the hyper competitiveness of the Serie A. Its longish prose and some unnecessary details aside, Doctor Socrates is an enticing, comprehensive biography that the legend of Socrates truly merits. As Downie shows, Socrates was at times dispassionate and erratic, but never dull. It's safe to say that he wouldn't have lasted a single day had he been playing today, but in the money-obsessed, politically correct world of modern football, we perhaps don't quite deserve him either.